Hawksmoor Seven Dials is a pretty cool restaurant. The vibe is chilled, the service is relaxed and I loved, loved the plentiful options on the menu. There’s a good range of starters, steaks with optional add-ons, not to mention other ‘stuff’ for non-steak eaters such as chicken, and an array of sides. The cocktails sound great too. Sitting in the bar meant we had access to the bar menu as well as the main restaurant menu, and for our starter we shared a lobster roll (£25) which was only listed on the bar menu. This dish is based on the lobster roll from a tiny lobster shack in Wiscasset, Maine where a whole lobster is served with garlic and hazelnut butter in a soft toasted bun with béarnaise on the side. It was easy to see why the Hawksmoor has adopted this recipe as it was simply delicious. Chunky pieces of tender lobster claw and tail meat were piled high in a scrumptious, almost brioche-like bun. 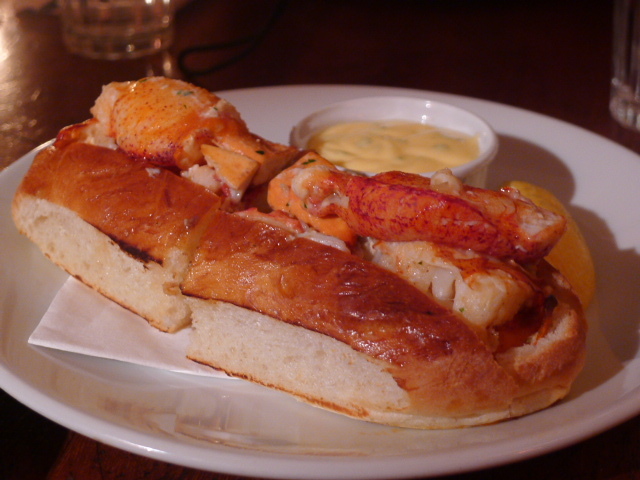 A touch more seasoning was needed, but the sweetness of the lobster and the nutty flavour of the melted butter running through the soft roll created something of a dreamy delight. Hawksmoor steaks uses Longhorn cattle sourced from The Ginger Pig in North Yorkshire and are dry aged for at least 35 days. We were bowled over by the size of a bone-in sirloin (£29 for 600g). The bone was virtually non-existent, and the two of us fed off almost 600g of meat which confirmed to us that it had been a good idea to share. The steak was slightly chewy even though it was cooked to our requested medium rare. 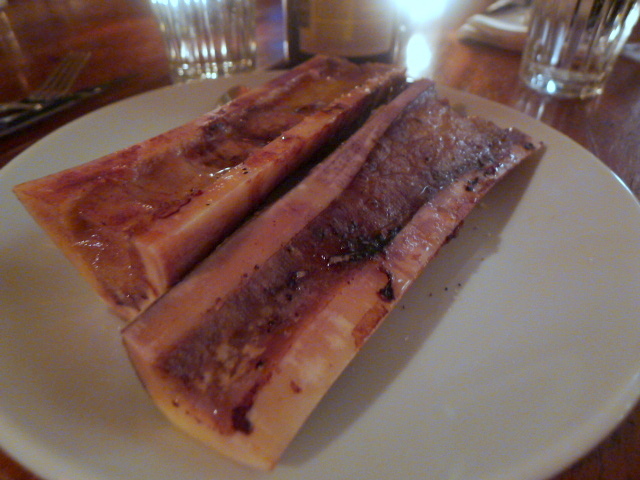 But we enjoyed the roasted bone marrow ‘add-on’ (£3) which was soft and gooey and served from the bone with a spoon. I adored the triple cooked chips (£4) which were super, super crunchy, and extremely well made. The bar menu includes an option for a dipping sauce for the chips (not listed on the main restaurant menu), and we selected the stilton hollandaise. The stilton flavour was subtle and helped to produce a fantastic sauce that worked well with the acidity and creaminess of the hollandaise. 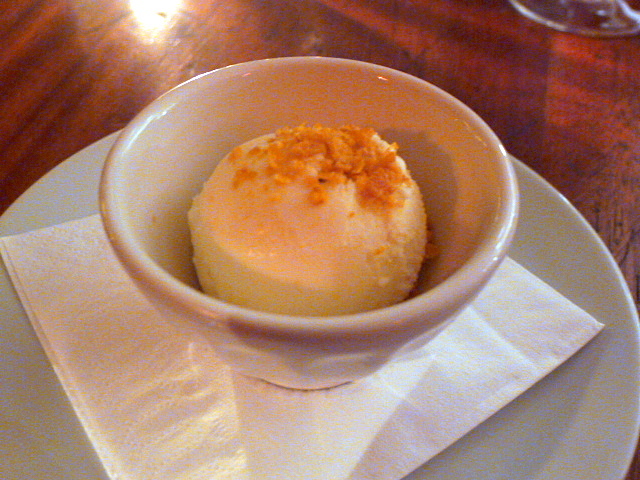 For dessert, a delightful cornflake ice cream tasted ‘just’ like cornflakes, and was highly enjoyable. The cornflake flavour was subtle and did not overpower the ice cream. Surprisingly, the dish I liked least was the steak. The bone-in sirloin wasn’t bad, but given that the Hawksmoor is a steakhouse, I had expected a piece of meat with a more melt-in-your-mouth effect. But I loved every other aspect of this meal. The lobster roll was divine, the chips were fantastic as was the accompanying stilton hollandaise, and the ice cream was wonderfully clever. The service was pleasant and attentive, and overall the experience was a resounding success. The Hawksmoor Seven Dials is definitely onto a winning formula. I’d happily hop along again. 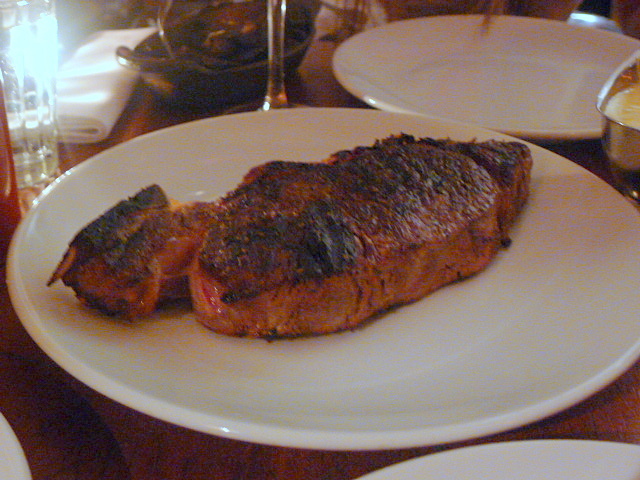 To read my review of the Hawksmoor on Commercial Road, click here. Price range: Between £30 – £50 for three courses. Excludes drinks and service.